Distortions in foreign exchange on the market has left the International Monetary Fund (IMF) Mission to Zimbabwe wary of the country’s economic outlook despite earlier assurance by authorities that the latest monetary policy measures would stabilize the economy by end of first quarter this year. The recently introduced inter-bank foreign exchange market, widely seen as an antidote has since reinforced foreign exchange distortions on the market with the USD$ 1 to RTGS $ 2.5 rate seemingly rather conservative. “Zimbabwe is facing deep macroeconomic imbalances, with large fiscal deficits and significant distortions in foreign exchange and other markets, which severely hamper the functioning of the economy,” read the IMF statement. The IMF team was recently in the country for the second staff monitored program (SMP) that sought to consider possibilities of opening new credit lines. Government continues to operate beyond its budgetary limits, creating perennial fiscal deficits that have been the major source of macroeconomic imbalance. While this can be reversed in the medium term, with strict adherence to the SMP guidelines that seeks to restrict public expenditure, its the foreign exchange distortions that pose greater threats to Zimbabwe’s macroeconomic stability in the interim. “The policy agenda to be monitored under the SMP is anchored on the authorities’ Transitional Stabilization Program and emphasizes fiscal consolidation, the elimination of central bank financing of the fiscal deficit and adoption of reforms that allow market forces to drive the effective functioning of foreign exchange and other financial markets,” read the IMF statement. 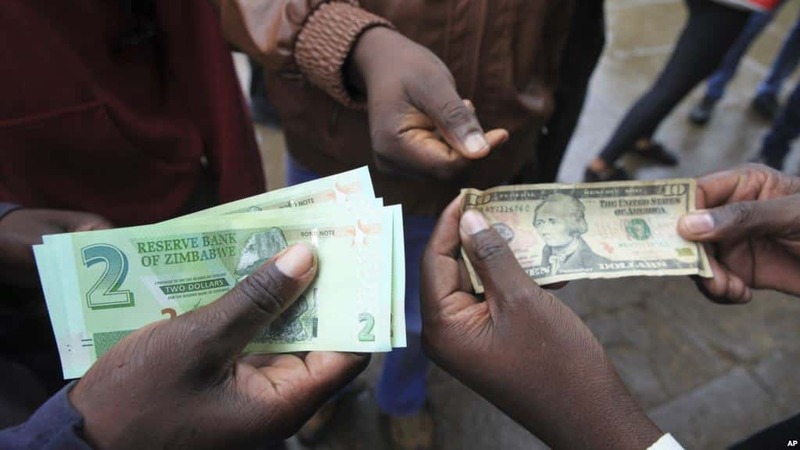 Analysts say due to the predominantly informal nature of economic activity in Zimbabwe, the parallel market rate has dictated the foreign exchange rate but this poses high risks of volatility. The inter-bank market has on the other hand suffered minimum trading as companies are reluctant to sell their currency on the platform as the prevailing rate of RTGS $ 2.5 is not in sync with market forces. Zimbabwe is undergoing the IMF program as a precursor to fix macroeconomic imbalances such as fiscal deficits, high levels of debt and financial sector sanity before being deemed “responsible” to access fresh lines of credit.